So what makes an epoxy coating one of the best finishes for your garage floor? 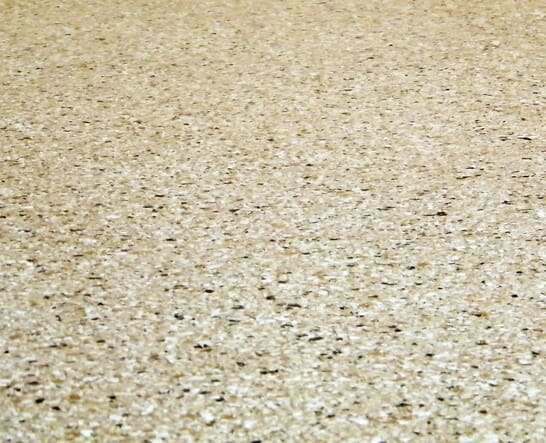 Besides looking nice, the hardened and thick application that you get from epoxy creates a coating that is very durable and resilient to impacts, chipping, chemicals, stains, and surface abrasion. You don’t have to panic about damaging the floor if you drop a wrench or a bicycle falls over. Hot tire pick up is a problem that is associated more with the lesser quality products such as store bought epoxy paint kits. 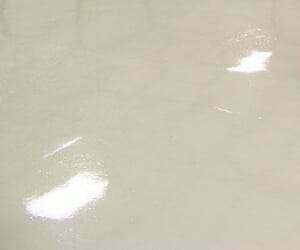 These are usually water based coatings that are 50% solids at best and only 3 mils thick, as compared to 100% solids epoxy that is 10 mils or more thick. These thicker coating are generally found in quality commercial grade product or professionally installed coatings. 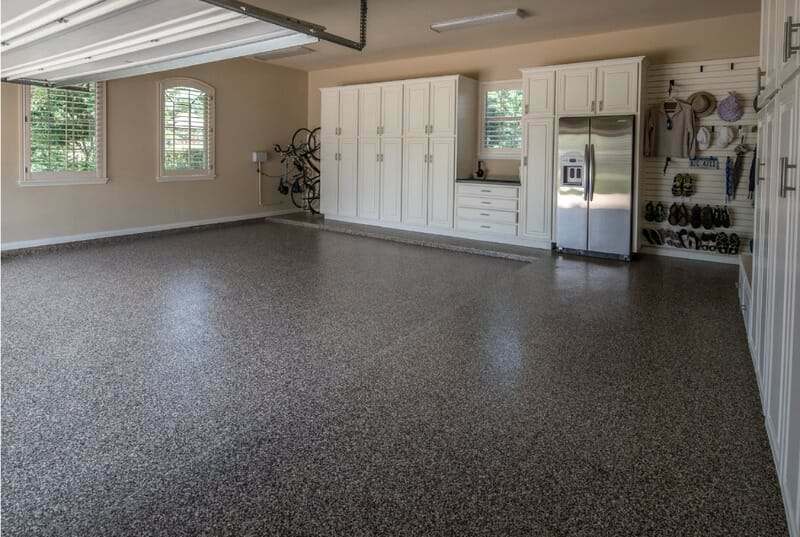 Visit our garage flooring gallery to view more epoxy coated garage floors. 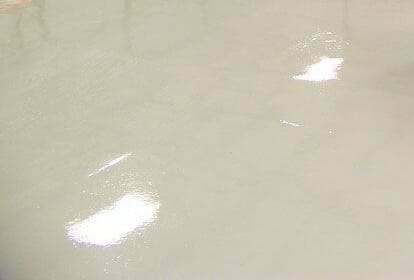 Quality epoxy floor systems usually involve multiple coats to insure a very tough and resistant coating that will last for years. Many times this will involve an epoxy primer which is applied first. One option would be a system that includes a polyurethane top coat. Epoxy will yellow or amber, as the industry calls it, when exposed to sunlight over a period of time. Polyurethane is a two part polymer that hardens just like epoxy and is used as a sealer and protectant. When used in the color coat and top coat with epoxy, it will resist the yellowing effect that happens when exposed to sun. A professional installation generally starts around $4.00 a square foot depending on the competition and area you live in. This usually includes a minimum of 3 coats and the cost goes up from there depending on the amount of top coats involved and how much color flake is applied in the base coat. 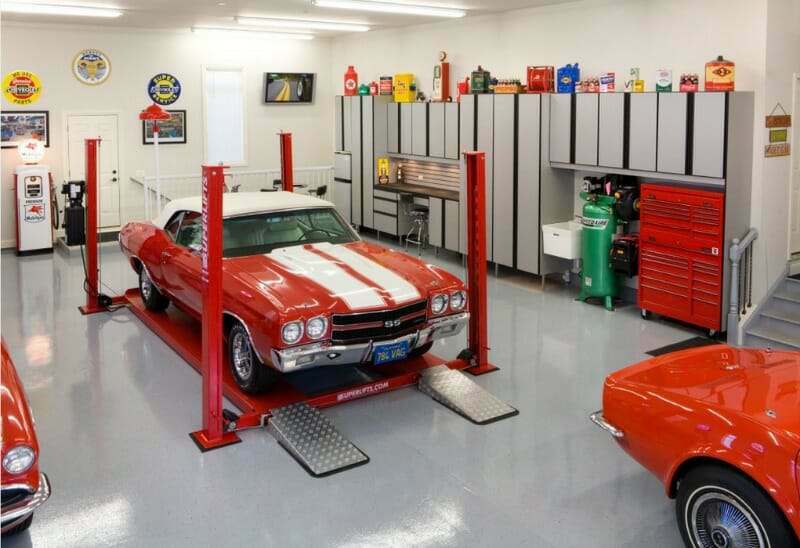 A typical 2-car garage is approximately 400ft² to get an idea of cost. Because of the curing time needed between epoxy coats, total time to complete the job and be able to park your car is approximately 3 to 5 days. 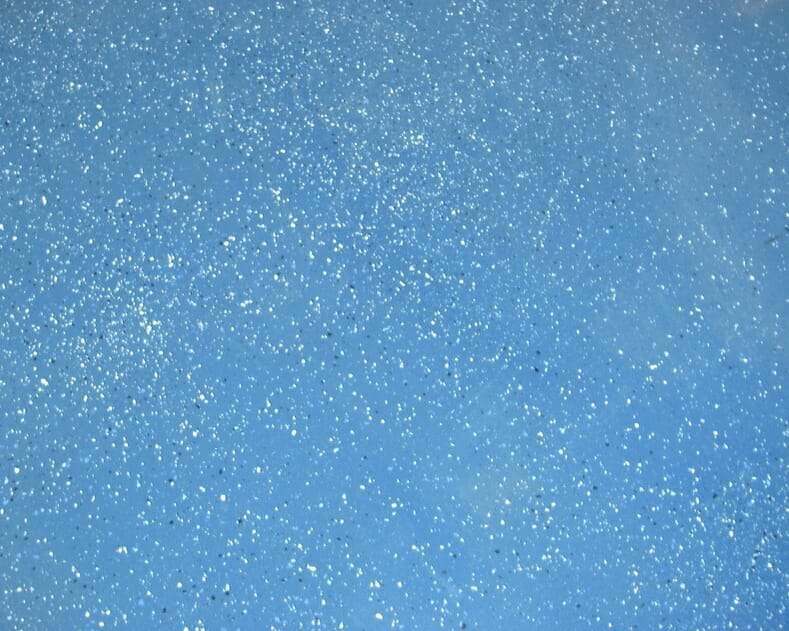 There are now newer polyaspartic and polyurea floor coating systems that are fast curing that can be applied all in one day and driven on the next. Professional installation of these systems start around $6.00 a square foot. Because of their fast cure rate, they should not be applied by the average DIY person who is not confident in their abilities. How long must concrete be poured prior to applying this surface? Hello Julie. New concrete needs to cure for a minimum of 30 days before applying a coating. All concrete should be cured for at least 28 days as that is the standard time in the industry to do so. In addition if you are having it poured, definitely think about installing a vapor barrier under your slab or even integrally to make your epoxy garage floor last. I have air bubbles in the top coat sealer. The installer said to use a broom it will knock them down and the sealer is not compromised. Is this correct? Hello Travis. Bubbles in a top coat is an installation error. In most cases nothing can be done to fix them other than sand the bubbles out after it cures and recoat. A broom may knock down a few bubbles immediately after it has been rolled while the coating is still fluid, but it won’t produce satisfactory results. Thank you for your response. Should the entire floor be recoated or just the sanded spots? Do have recommendations of how to convince contractor knocking the bubbles down is not the solution? You would need to recoat the entire surface Travis. Coatings do not blend well like paint on a wall. It would be very obvious and stand out where you applied a new coat to certain areas of the floor. The entire surface would need to be deglossed by roughing it up with 100 grit sandpaper before recoating. 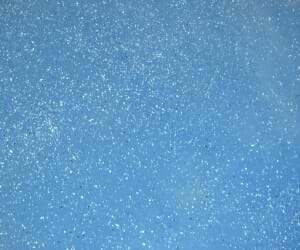 The areas with bubbles may need 80 grit in order to sand them down. Again, knocking down bubbles can only be attempted during the application process. It can’t be done once the coating has started to cure. They are induced in top coats by poor mixing and/or rolling techniques. We are guessing that the contractor does not specialize in floor coatings only and is more of a general contractor? If so, this explains their lack of knowledge regarding how to treat bubbles. Extremely thick coatings for commercial use require a porcupine roller to prevent bubbles, but it doesn’t sound like you are dealing with such a coating. Hello, I put an epoxy coat in my basement and didn’t see small crack, which is placed in the center and is quite visible, so, can I repair it without putting another coat over all basement, but just this spot? Hello Aki. You can repair the crack and apply epoxy over that area, but it will stand out and be obvious unless you recoat the entire floor. Epoxy coatings, due to their thickness, do not blend in like paint on a wall. Is it possible to use epoxy in a basement? As long as you don’t have moisture issues Laura, you can do an epoxy coating in a basement. We suggest reading how to moisture test to get a better idea if your basement is suited or not for epoxy. hi, can I use an epoxy coating on an asphalt garage floor? if not, what type of coating or paint would you recommend? No, epoxy cannot be used on asphalt. Asphalt is a petroleum product and can’t be coated. I have a type of vinyl flooring in our shop office and want to be able to cover it. Are there certain surfaces that won’t work? Epoxy is not the best choice Leah. While it can be done, it can be more expensive due to the fact that it will require a few coats of commercial quality 100% solids to fill all the voids and create a smooth finish. Most manufactures don’t warranty for installation over vinyl either. Epoxy really is best for concrete and some wood surfaces. I moved into a new home 8 years ago where the garage floor had already been coated with epoxy. There are a few small isolated spots where the epoxy had disappeared over the years. I was generally pleased with the appearance of the floor with that exception. However, when the floor was wet, it was very slippery. I just had a tornado shelter installed in the garage,, and that process left quite a few dings/scratches, as well as some new concrete. Can a new coating be applied over this old epoxy and the new concrete when it cures? I understand that there is also an additive which can reduce the slipperiness. The new concrete will need to cure for 28 days before you can apply a coating Rob. You will need to prep the new concrete by etching or grinding. As long as the old epoxy is adhered well, you can sand it rough with 100 grit sandpaper to provide mechanical bite for a new coating. We have an article on anti-slip additives which you can read here. Just be sure to use on the final coat. I just wanted to say thank you for keeping such a great site. I bet I spent 30-40 hours reading! I took advantage of the 3-day weekend and put a polyaspartic coating on my 17 year old floors. Full blog post is here (https://sylvia1967blog.wordpress.com/2017/05/30/may-29th-2017/), but most of the post is not about the actual epoxy, so scroll down if you want to see the good and the bad of the results. I used 4.5 gallons from EpoxyMaster (their customer service is AWESOME! ), was just enough quantity-wise to cover, but temperatures were 75-78 degrees at 7:00AM so time was my biggest problem not coverage. The epoxy did coat vertical surfaces but not thick like the flat surface, so some paint drips from the walls show through. Overall I am extremely happy for my DIY job, a few problems that a pro could have missed or avoided, but I saved $3,000-$4,000 so all is good! Great job on the floor Ed! We left the link in your comment so people can see all your images and how you tackled your project. Yes, their customer service is very good. For those interested, we have an article about EpoxyMaster which you can read here. I have applied a one-coat, high solid epoxy in grey to a freshly poured garage. However, I have splotches of coloring that I would like to re-coat with a second coat of the epoxy. Is there any issues or concerns? Should I rough sand? Hi Jim. I think we just answered your question about polyurethane as well. If it’s been less than 24 hours you can apply another coat without prep. However, if you are outside the 24 hour window, it will require deglossing the surface by roughing it up with 100-125 grit sandpaper before applying a second coat. We suggest contacting the manufacturer or reading the technical data sheets to confirm your recoat times. Technique question. For the final clear top-coat how do I avoid getting stripes in the application? One garage will need re-doing because of rough/smooth striping. My guess is uneven pressure was applied. Hello John. It’s important to backroll the clear coat at 90 degrees from the direction of application. Don’t add additional pressure to the roller to squeeze out more coating either. Hello Paul. If you want to install a good quality commercial coating, then you need to remove all the existing paint on the floor. Grinding the concrete is the best method and it will prep your floor for the coating at the same time. There are many great coating systems that you can install – none of which you find at a home improvement center. Most are purchased from garage flooring vendors online. Roll On Rock is and example, Nohr-s is another, and so is EpoxyMaster. In fact, there are many more. Garage Flooring LLC has a good system as well that is user friendly. If you are located in Florida Paul, we recommend giving Scotty from Legacy Industrial a call. They are located in Florida and are very familiar with what works best for your area. He works well with the DIY crowd. Their Nohr-S system and high solids epoxy systems are fantastic. We have an article on grinding here. I wondered if this product would be useful to use for a concrete front porch on a 1918 craftsman bungalow. I worry about sun exposure, and moisture issues, since it is more open to the elements. What do you think? No, coatings such as these are not a good choice for the very reasons you specified Alisa. However, you could always apply a good acrylic sealer like this one here. Acrylics breathe and can generally handle moisture issues. Some can be tinted or you could always stain the concrete first and then apply the acrylic. If the porch gets wet, it’s a good idea to add an anti-slip additive as well. Hello, I am adding a new garage onto our house and want to epoxy coat both old and new once it is done. What product do you recommend to fill the cracks in the old garage floor (some large and small cracks)? What is the best method to prepare the old floor (sand, sand blast, acid wash…?) What do I need to do to the new floor (after 30 days wait time)? I understand that preparation is the key and want to do it right! Hello Bill. Yes, you need to wait a minimum of 30 days for new concrete to cure before applying a coating. We have articles about garage floor repair here, which include material recommendations. Proper prep for concrete is the same whether it’s new concrete or old. You need to acid etch at a minimum. Grinding is better if you are able. We have an article about the differences here. This article here explains how to acid etch and this article here explains how to grind a garage floor. This is a very helpful article. Thank you! Do you have any recommendations for people in the Midwest where we have often four very distinct seasons? Also, if you have any recommended products or installers in the Kansas City area, I’d love to hear them. Thanks. Hello Bear. Commercial quality products are highly recommended. We have some great sponsors on the right sidebar of our website that carry very good materials. Stay away from the DIY epoxy kits that you can typically find in home improvement centers as they will not last. If you are interested in hiring someone to do the work for you, try Amazing Garage Floors in the Kansas City area. Great site! I’m learning so much from the articles here but I do have a question for you that I don’t think has been covered here. My double garage floor is 20 years old but in great shape and responds very well to etching which is the way I’m thinking of going. However, the floor was poured in 4 segments each 10 x 10 feet and between segments, there is a rubber like expansion joint that sits about an 1/8″ below the nominal surface. At the intersection of the four panels is a 12″ x 12″ drain that is also surrounded by the rubber material. How do I epoxy this floor? Do I do it in 4 segments? How do I protect the expansion joint? By the way I’m in Ontario Canada so it does get cold here. Hello Bryan. What you want to do is run duct tape on the contraction joint seals and drain cover before you apply your coating. You may want to do it before you etch as well in order to protect the seals from possible damage from the acid etch. You will want to pull the tape up 15 to 30 minutes after applying the coating. If you don’t, it coating will harden too much and you will have to cut it away before it becomes too hard. Applying in sections works just fine and is the preferred method for most people since it allows go at a more manageable pace. You can find most of the information you need about crack repair here, Lynn. No, Anthony, it should range from 12 hours to 3 days depending on the type of product you use. The technical data sheets for the product should tell you how long you have to wait. Just make sure you are not using a self-leveling underlayment that is used for tile, carpet, wood, linoleum and etc. I’m plannng to have our garage floor coated with epoxy in the very near future. It as several storage cupboards that will need to be moved. We are elderly and would need help – also they would need to be moved up one low step into the house. However, we are wondering whether half the floor could be done with the fast drying epoxy one day and the other half of the floor done two days later in which would just mean that that the cupboards could be moved to one side and then the other side while the job is completed. Please could you let us have your thoughts about this idea. Hi Marion. We recommend discussing this with the floor coating company you plan to hire. 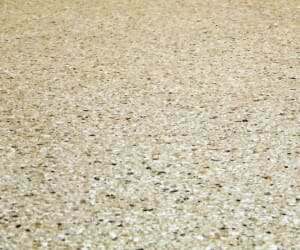 Most of of your fast cure garage floor coatings are polyaspartic polyurea. They can be completed in one day with the ability to move most items in that same day and be able to park in the garage the next. The would most like be able to do that for you. Some companies even offer the option of moving your items into a locked trailer or truck overnight which they park on the premises. In terms of doing one half of the floor at a time, if you have a contraction joint that divides the garage in half then it can be used as a natural border to do that. However, if you don’t have any joints in the concrete you cannot do one half at a time. The reason is that coatings to not blend in on top of each other like paint does. You will have very noticeable roller marks where the second half is applied over the edges of the other half. It is not very attractive at all. thanking to your support.i am installing epoxy to wood. in top coat i need to use grit sandpaper for polish purpose. 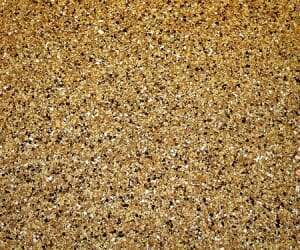 which type of grit sandpaper is best for me. 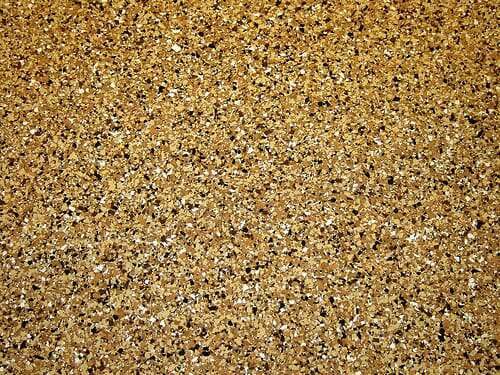 can u suggest grit sandpaper number.and how to clean it after gritting. Hello Shatru. You can’t polish epoxy or any concrete coating for that matter. If you use sandpaper on it, no matter how fine the grit, it will cloud up the surface and dull the finish. My garage had the epoxy done using Rustoleum RockSolid by a contractor. He did a good job but painted the strip between my garage door and the asphalt driveway even though I mentioned him that I wanted it to be done only inside the garage. I live in Chicago and with the extreme weathers should I take any extra precaution to maintain this exposed area to extend the life of the epoxy? I will make sure not to use my snow thrower or shovel in that area but wanted expert advice to maintain the investment for few years. Hello Suresh. There isn’t much more you can do to maintain it. Cosmetically it will develop a light yellow tint from being exposed to U.V. light, but it won’t affect anything else. 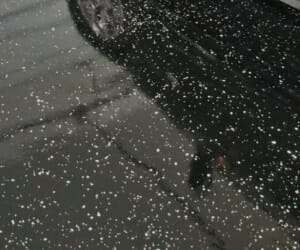 The only concern would be moisture getting into the concrete under the coating where it terminates with the asphalt. We would recommend sealing the joint between the asphalt and concrete with SikaFlex if it is not sealed already. Thank You Shea. I have not sealed yet. I am planning to fill the contraction joints inside the garage with backer rod and sikaflex polyurethane. Could I use the same to fill the joint between asphalt & concrete? I live in Austin Texas and just bought a new house in Jan 2017 and am trying to decide between applying Epoxy vs the polyaspartic coating I’ve heard about. The company who does epoxy claims it’s the best thing on the market. Another company who came by swear by the polyaspartic claiming it’s 3 times more durable than epoxy. It’s clearly more expensive, but I want to know if it’s worth it? Which is truly more durable and will last longer? I believe both companies are offering lifetime warranties. Hello Okem. You are asking good questions. Most quality epoxy systems installed by reputable contractors will have a minimum of three coats. A primer coat, a high solids base color coat (color flakes optional), and then a coat (sometimes two) of clear polyurethane or polyurea. This type of system is just as good (sometimes better) than a polyaspartic coating. Most polyurea polyaspartic coatings are only two coats. The base color coat (color flakes optional) and then the clear coat. 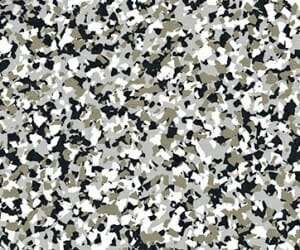 The abrasion, chemical, and scratch resistance of polyaspartics is very good and similar to polyurethane and polyurea. The main difference between the two flooring systems is thickness. A quality epoxy flooring system can be almost twice as thick as a polyaspartic system. This is good if you have a busy, working garage. It doesn’t make that much of a difference though if you are just parking your cars in it. 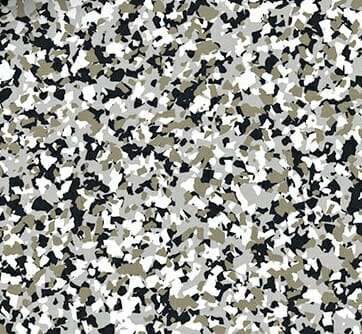 I suggest you read this article about polyaspartic garage floor coatings. Next, I suggest you read this article about choosing a garage floor coating contractor. Make sure you ask how many coats each flooring system consists of and what product is being used. Also, ask to see the technical data sheets. This will give you a good idea of the quality of materials being used and provides a good comparison between the two systems. Finally, make sure that each preps the concrete by grinding and not acid etching. If you have any more questions just let us know. 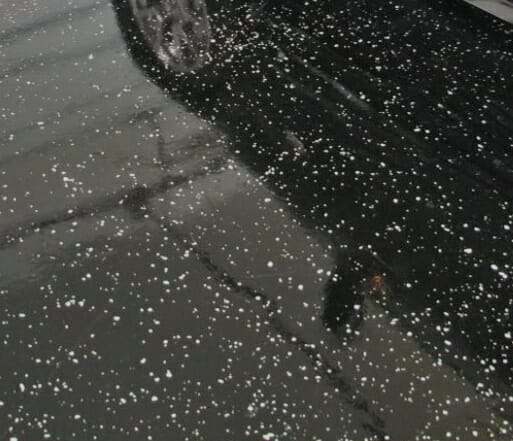 Hello…I just had my garage done and it looks great….contractor applied primer, base coat, full broadcast chips and a UV polyurethane coat…but the contractor also did NOT do a 6 inch step the spanned from side to side of the 2-car garage claiming that the the epoxy would not stick on vertical surfaces…is this true? If so, what would you recommend I do with this bare concrete step? Hello Fred. Unfortunately, what you were told is not true. 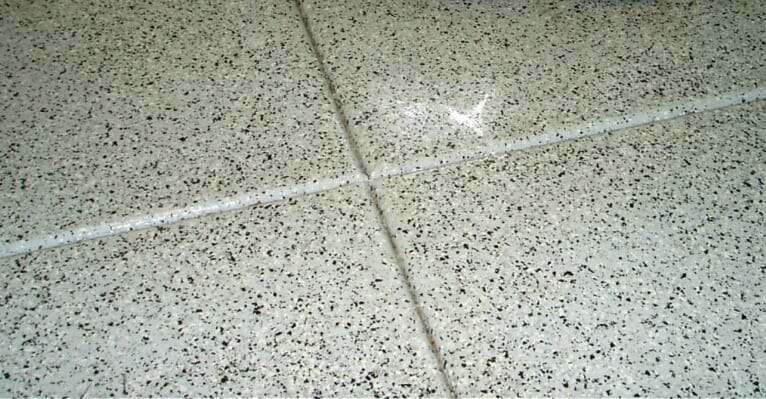 Most floor coating contractors offer to apply the coating and color flakes to vertical surfaces such as the surrounding stem walls and step ups for elevation changes. It’s generally done for an additional charge. DIY applicators do it as well. Take a look at the first image from this article here as an example. If the contractor will not offer to do this for you at an additional charge, you can always find someone else who would. Another option is to color match the epoxy color with an acrylic latex concrete paint which you can purchase from your local home improvement center. No real concrete prep is required, other than making sure it is clean, and there is no worries about wear since you will not be walking or driving on a vertical surface. Just the color change alone from bare concrete to the same as the rest of the floor can tie things in nicely. We have a 12’X32′ cement floor in our covered and screened lanai at our home in SW Florida that I would like to cover with an epoxy floor. Would it for this sort of application? Hello Jill. A lanai is going to have much more U.V. light exposure than a garage. Epoxy wouldn’t be the best choice as it can develop a yellow tint from the U.V. exposure. We suggest a single-part polyurea instead. These are U.V. stable, easy to apply, and extremely durable. You can learn more about them here. Hi I just want to ask my plan for a living room. Hello Aesha. You cannot apply epoxy over primer concrete paint. It has to be an epoxy primer. Paint and epoxy are two completely different products. Have used a product ( or this same one) on garage floor approx 10 years ago. Held up great for 8 years in intense sunlight exposure. Top coat now yellowing. Tried removing it with lacquer thinner but it will not soften. How can I remove it and can I purchase the clear coat alone to reapply to the base coat and flakes ? Hello Ray. A good coating will not soften or be affected by most chemicals as you discovered. What you will need to do is remove the existing clear coat by grinding. You may loose some color flakes in the process (assuming you have them). You can then apply a new clear coat. One thing to keep in mind is that if the clear coat has yellowed, then chances are high that the color coat has yellowed as well. If that is the case, you would be better off applying a new color coat and clear coat over the existing coating. It would require roughing up the surface with 100-120 grit sandpaper in order to do this. A single-part polyurea coating is a good option for a new coating since they do not turn yellow to U.V. exposure.